Rejection is a spirit (or a mindset) of “unwantedness” that colours our perceptions of life and relationships with others. Rejection can enter our lives in a very small way to start with but when we continue to agree with its lies to us (yup LIES) that we are of no value, we allow its power to grow and spread to other areas of our lives. It creates a new lens of logic and deduction for us to view the world with. Here’s an example. Let’s say I’m in secondary school (high school if you’re American) and I confidently raise my hand to answer the teacher’s question, certain that I’ve got it right. The whole class including the teacher erupts into laughter when I give my hilariously inaccurate answer. Rejection whispers to me “don’t put your hand up any more, you have nothing to offer these people.” I agree and give rejection power over me and the rest of my education. How about this. Someone in the class has a party at the weekend and everyone receives an invite apart from me. In reality my invitation has been left somewhere for me but Rejection says “You’re not invited because you’re not wanted.” I think to myself, well Rejection has been right so far so I don’t ask if I am invited or not and I give rejection power over me and my sense of personal value. Throughout my life I can then follow this pattern of behaviour. I never put any of my new ideas forward in the workplace, I never ask a group if I can hang out with them. To people on the outside it may seem as though I’m just “shy” or “quiet” when actually I’m a prisoner of Rejection, trapped in a self-built cage of loneliness. Just to be clear I’m not saying that everyone who is shy or quiet struggles with rejection. Rejection either makes us distance ourselves from people or it causes us to latch on to anyone who gets close to us, neither of which are healthy behaviour. Distancing ourselves may not just be physical distance e.g. sitting alone hiding behind a book but it can also include keeping our distance emotionally or hiding our personality which means that we’re never honestly ourselves with people. Rejection is therefore the enemy of true Freedom and is rooted in Fear which is the enemy of Love. These two working together keep us from receiving the love we need from God and from others because most of us only accept the love we believe we deserve. Rejection also has an ugly cousin called Insecurity and they often partner up to ensure that we’re only ever fully ourselves around people who are like us. This is how a lot of exclusive groups and cliques form (not just the “cool kids” but the “uncool” ones too). When Rejection has a voice in our lives we feel uncomfortable around people who aren’t like us and perhaps we tone down certain aspects of our personality in those situations or act like we just don’t care at all. Rejection is the enemy of integrity which is our ability to live on the outside who we are on the inside. Rejection eats at our integrity and gives birth to compromise in our lives by making us put on a false self. We find any external evaluation of ourselves uncomfortable or even scary so we pretend that we don’t care what others think of us or we try really hard to impress people so they don’t reject us. A classic example is the child hanging out with the friends of an older sibling. They will try hard to be liked and to be cool, pretending to not be scared of watching horror films or climbing into the garden with the huge dog! Rejection is the enemy of integrity which is our ability to live on the outside who we are on the inside. Rejection eats at our integrity and gives birth to compromise in our lives by making us put on a false self. The loneliness that accompanies Rejection can make us VERY sensitive to affection and so the second we meet someone who is nice to us or who listens to us or who tells us something positive about ourselves, we immediately try to form a concrete bond with them in the hope that they will never leave us and continue to feed us the love we’ve so desperately craved for so long! 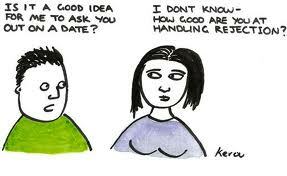 I think I see this most clearly in unhealthy romantic teenage relationships. Rejection assaults teenagers aggressively and so there are plenty of young people (who grow into older people) who feel marooned on islands of solitude because no one “understands them”. Perhaps they pretend to be happy about it, or nonchalant about it. Perhaps they’ve never really known anything else. Then one day a boy or girl comes along who apparently does understand them. “Oh my gosh Becky, he just… sees me, you know? !” “I can’t explain it bruv, it’s just like she really gets me, innit?” Very quickly they become obsessed with this person and start their mission to lock this person into their life forever. Sometimes this person is equally lonely (or has a saviour complex) and this quickly develops into a very cute-looking but incredibly unhealthy relationship. As we get older these sorts of relationships may not even be romantic in nature but Rejection is still the driving force. Sometimes the person being pursued is shocked by the sudden new attachment to their lives. They begin to feel uncomfortable with the level of closeness and the consistency of communication this person is trying to have with them and it begins to make them not want to be around this person. They feel drained after spending time with them and the thought of spending more time with them becomes distressing. Remember, the one who is under the influence of Rejection still has little value for themselves and so they come to the relationship to take and receive, thinking that they don’t really have anything to give. 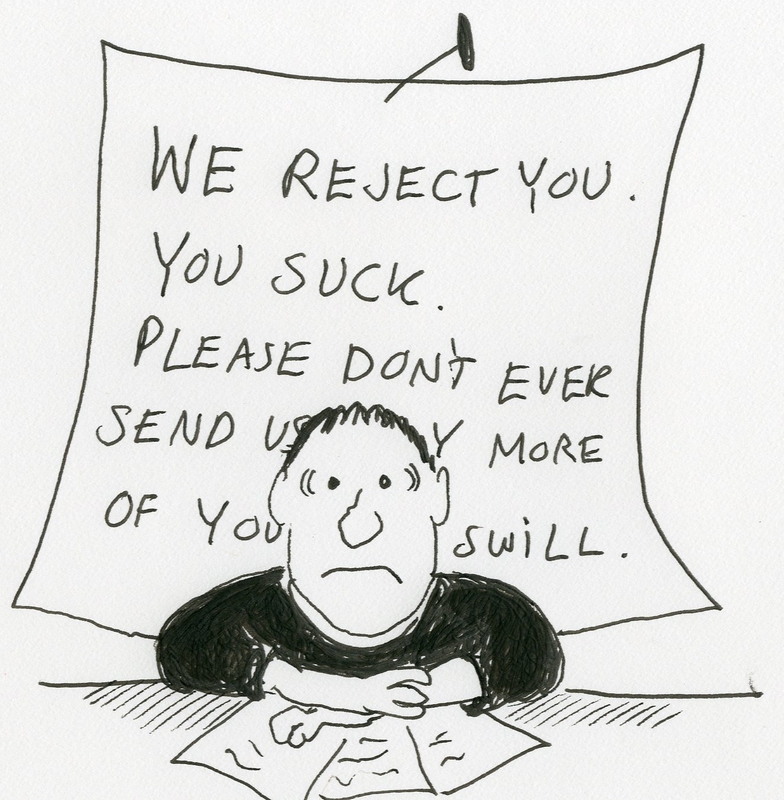 If the person they are pursuing withdraws from them Rejection picks up the slack quickly confirming “See, nobody values you because there is nothing to value.” Rejection often justifies itself in people saying “Of course people won’t like me, I’m too…” Or “I’m not…enough.” Constant self criticism, evaluation and analysis becomes normal or maybe we even ignore ourselves altogether. This can make us look really humble or even spiritual but it is actually just low self esteem on steroids. Remember the one who is under the influence of Rejection still has little value for themselves and so they come to the relationship to take and receive, thinking that they don’t really have anything to give. Love empowers us to run headlong into the possibility of rejection without fear. Let’s take a look at Jesus in Luke 19:41-44. He’s coming into Jerusalem, overflowing with love but knowing that they are going to reject Him and it breaks his heart. The crazy thing to me is that He didn’t stop! He knows that they are going to reject Him. He knows that they are going to mock Him. He knows that they are even going to kill Him but He pushes on, propelled by the love in His heart for people. He knows that the message He carries and the blood in His veins are of infinite, unparalleled value. He knows who He is and the value of His personhood. He loves because He chooses to love. True Love risks rejection and overcomes it. The only way we can overcome Rejection is by hearing the voice of the One who always accepts us and listening to what He says about us. When we allow God to speak His love and value over us and let it actually permeate our hearts, minds and emotions, it reveals the truth of who we are and strengthens us to live from a place of security instead of trying to get to one through all sorts of avenues. This is more than just “Jesus loves me this I know for the Bible tells me so” and it can be harder for those us who’ve grown up hearing that in the Church. True Love risks rejection and overcomes it. 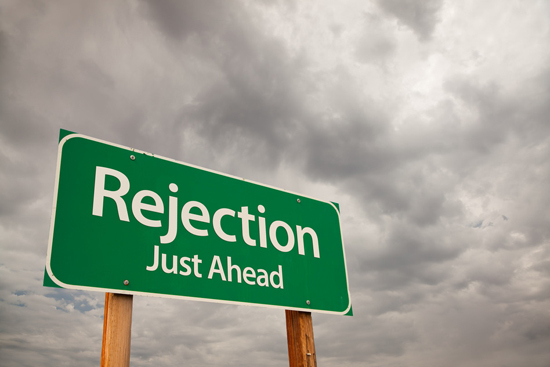 The presence of Rejection in our lives is not ok. It gives us a cracked lens to see the world through and warps our perception of our relationships with other people. It is a controlling influence in our lives that desires to keep us out of healthy connections with people that are mutually beneficial and uplifting. It can rob us of our identity and cause us to live life as a false performance, as someone else. It starves us of love, making us emotionally callous or uncomfortably desperate to touch others which can drive them away. Rejection wants to trap us in such cycles. Freedom from Rejection is a must! When we live free from rejection we are able to let others judge us, hearing and considering their thoughts without letting their judgements harm us. Father thank you for Your love. Thank you Lord that You know us best and You love us most. Help us to value ourselves and each other by the standard of Your love. We break agreement with Rejection and its lies about us and we receive Your truth that we are loveable and valuable. Help us to draw out the good that You’ve breathed into us and to display it to others for Your glory. We receive Your love in the name of Jesus. Click here for more posts like this. Really like this one, thanks Tony. Watched some video’s of Caleb too! Haha yeah some of Caleb’s videos are brilliant! Epic feat!